Collins Booksellers - Acne Cure by Barbara Williams, 9781519907264. Buy this book online. This is probably the most effective acne treatment plan you will ever encounter in your life! We are going to break down top foods to get rid of acne, top all natural supplements to get rid of acne, and also the top foods you must get out of your diet immediately if you want to get rid of your acne for good. One of the main cause of acne is a bad build-up of bacteria in your digestive tract. This book contains proven steps and strategies on how to effectively treat acne by making some dietary changes and following a simple anti-acne diet menu plan. There is a comprehensive information on acne, its symptoms, causes and risk factors. Also featured in this book are some mineral, vitamin, herbal and other natural supplements that will further boost the wonderful effects of your anti-acne diet. 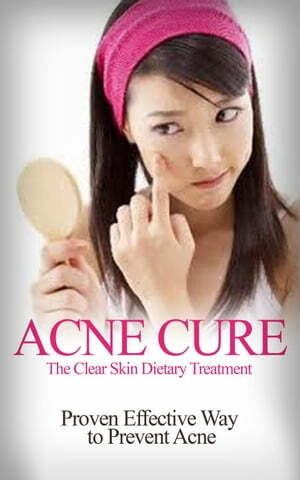 Acne is a skin disease which develops when the hair follicles become clogged up with dead skin cells and oil. Acne is medically known as acne vulgaris and most commonly develops on the upper body. Acne can be annoyingly persistent and distressing. Acne lesions heal gradually and when one seems to start healing, others seem to develop. Depending on its severity, this skin condition may lead to scarring of the skin and emotional distress. The good news is that, a lot of treatment strategies are available, and the sooner treatment is initiated, lower the risk for lasting emotional and physical damage.